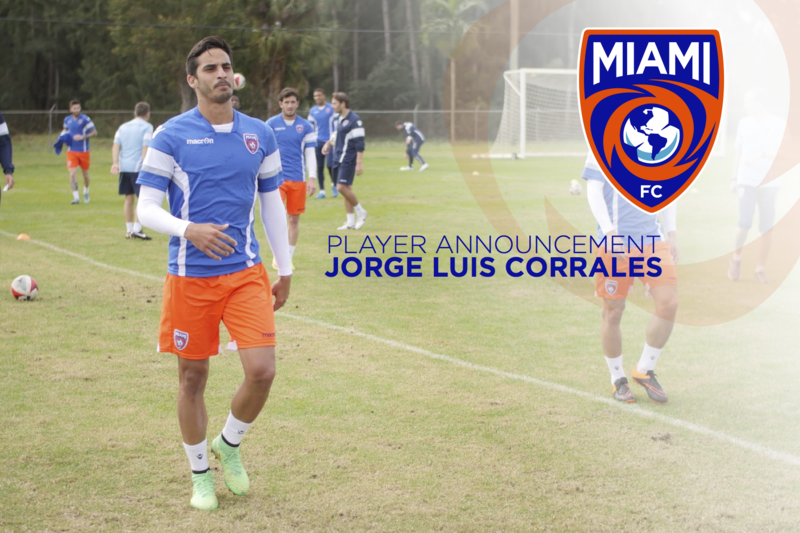 Miami, FL (January 29, 2016) – Miami FC has recently inked internationally recognized Cuban defender Jorge Luis Corrales. The Cuban national spent most of his career within the Cuban leagues and represented his country for a number of international cups including the Caribbean Cup, CONCACAF Gold Cup and World Cup. Corrales, 24, started his career with Pinar del Rio FC in 2009 and quickly ascended to become the captain of the club two years later. Throughout his six years with the team, he totaled more than 80 appearances, 20 assists and netted six goals. Corrales also claimed MVP of the team in 2012, 2013, and 2014. In 2015, Corrales went on loan to Sancti Spiritus FC, where he went on to score one goal and added 5 assists in 18 appearances. However, most of Corrales’ biggest plays were on the international stage. Since the outset of his career, the left back was a regular starter on Cuba’s U17, U20, and U22 squads, made regular appearances for Cuba during the CONCACAF tournaments, and landed a spot on the Olympic roster. In 2010, Corrales had one of his most notable seasons when he helped Cuba’s U20 squad win one of its biggest victories against the British Isles in a shootout that ended 29-0. He went on to help the team secure a spot in the Pan-American Games in Guadalajara the following year. The experienced defender is anticipating a great future with Miami FC and hopes that he can continue to develop as a player under the leadership of Nesta and guidance of the team’s technical staff.